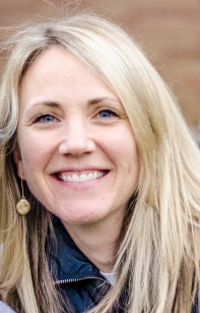 Dr. Jessica Miller-Galbreath, Program Director of the Physical Therapist Assistant Program at Concorde Career College in Aurora, Colorado joins eHealth Radio and the Health News, Pain Management & Physical Therapy Channels. Concorde has 16 campuses in eight states and has been training students to enter or advance their careers in health care for more than 60 years. Can you tell us about your background in physical therapy and what led you to your current role as a director of the physical therapy assistant program at Concorde Career College? How does your experience in the field of physical therapy help you in your current role? Many people don’t know about the important role physical therapist assistants serve in the health care system at-large. Can you provide a typical “day in the life” of a physical therapist assistant”? How do you see the role of physical therapist assistants expanding in the next five to ten years? What would you like to tell someone who is looking to go into this profession? Where can interested students go for more information or to find a program near them? Jessica Miller-Galbreath, PT, MS, DPT, has served as the program director for the Physical Therapist Assistant (PTA) program at Concorde Career College since the program’s inception in August 2010. Dr. Galbreath holds a Bachelor of Science Degree in Kinesiology from the University of Illinois, as well as a Master of Science Degree in Physical Therapy and a Doctor of Physical Therapy degree from Northwestern University. Prior to accepting the position at Concorde, Dr. Galbreath worked as a clinical therapist for 12 years in a variety of settings including the Rehabilitation Institute of Chicago and the University of Colorado Hospital. She specialized in the treatment of individuals with a neurological impairment focusing primarily on patients with a spinal cord injury or a traumatic brain injury. Her previous teaching experience included serving as a clinical instructor for 10 years, providing guest lectures for local universities and teaching in the community. Additionally, Dr. Galbreath has previously been active in research regarding spinal cord injury and the management of spasticity. Since 2013, Dr. Galbreath has served as a committee member for the PTA Curriculum Task Force and was promoted to Lead Program Director over the national PTA curriculum in 2014. Dr. Galbreath is a member of the American Physical Therapy Association, as well as the Colorado Clinical Educators’ Forum and Physical Therapist Assistant Educators SIG. She remains active in community service, participating in fundraising and volunteer work for the Leukemia and Lymphoma Society, the Susan G. Komen Foundation and the Spinal Cord Injury Recovery Project.